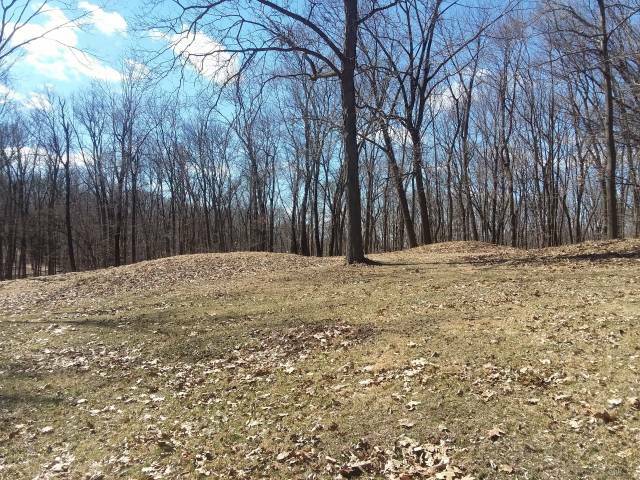 The effigy mounds are a holy place for Native Americans. They made these mounds/hills to honor their dead or the gods. With a lot of imagination some of them look like bears or snakes. This one is the little bear -of course the kids were utterly disappointed of the "bear" and lacking the political correctness to hide their disappointment. Often I admire the Indian ways to treat nature and the animals in it. On the other hand though, these "Hügelchen" are their prime artwork and legacy -so when Europeans built Versailles and St. Paul's that's what the Indians came up with.... Just wondering.